The Big Joe Joey Zero is an elevated work platform that is able to navigate tight aisle for single item picking. 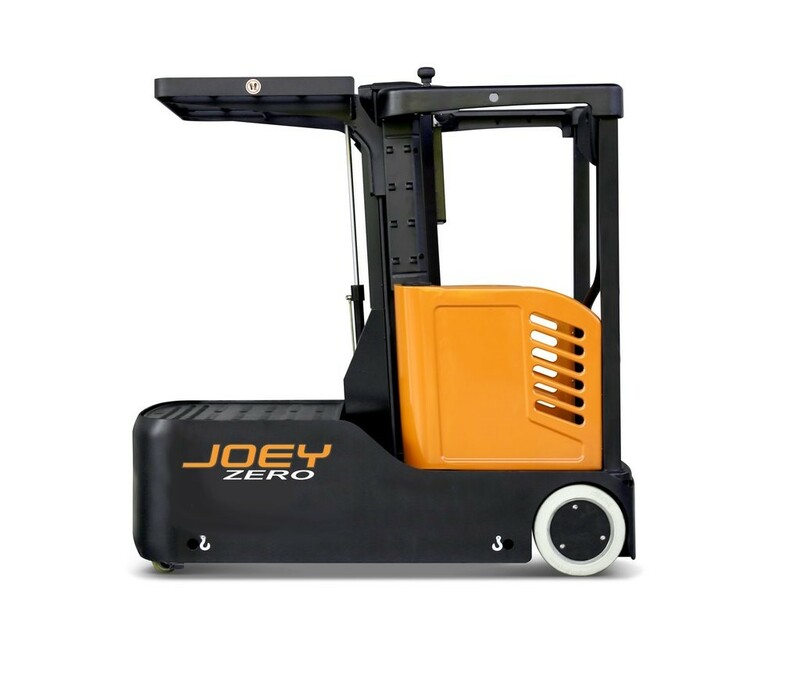 Ideally used in a warehouse application where an operator is in racking selecting single items for an order, the Joey Zero is a great option. 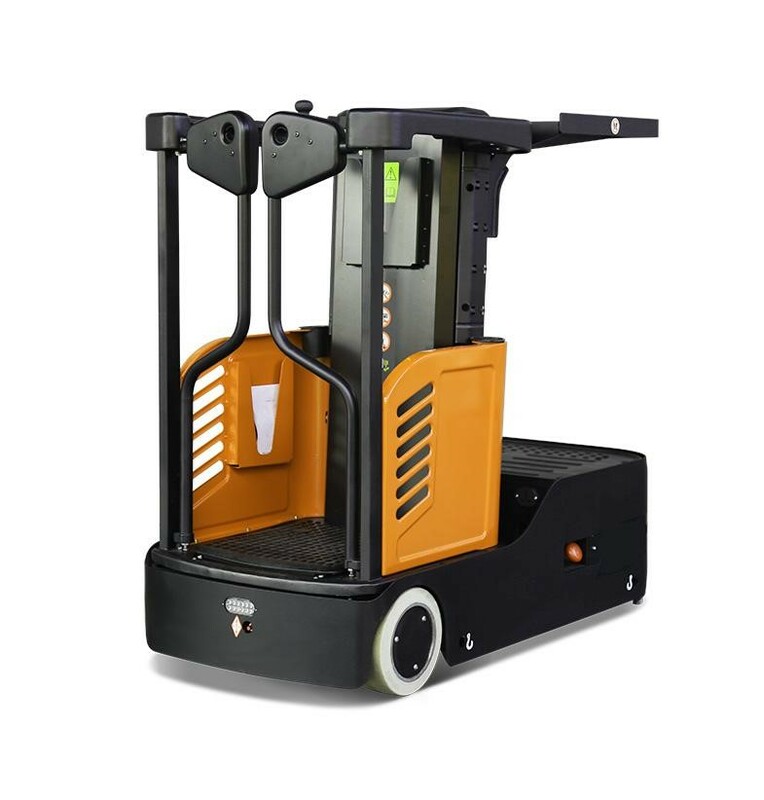 With a lifting height up to 118″, an operator would be able to pick items well above 15′ high for an order. Maintenance free batteries keep this lift very user friendly; plug the lift into a 110VAC wall outlet and it’s charging! The Big Joe Joey Zero is a super economical way to pick items in a efficient manner. With travel speeds at 5 mph, you get to where you need to go quicker, and reach lifting heights safely while in the operator compartment. For the initial investment, this elevated work platform will pay off in time and efficiency. All Joey Zero elevated work platforms are simple to operate and safe. The Joey Zero comes standard with an automatic locking rear entry gate when elevated, electronic power steering, obstruction presence sensors below operator compartment, and a forward projecting blue light. The Joey Zero elevated work platform comes with (2) 12-volt maintenance free batteries. With being maintenance free, there is no need to water the batteries or question of how to charge them. Simply plug the cord into the wall and you are charging! What application do I use the Joey Zero in? The Big Joe Joey Zero elevated work platform is a great option for order picking. The Joey Zero is under 30 inches wide, making it perfect to navigate tight aisles or congested retail stores. With a working height of around 17 feet, order picking with the Joey Zero is a simple and efficient process. The Big Joe Joey Zero makes stocking shelves in a retail store a seamless process. Traditionally used with a rolling ladder, the Joey Zero adds safety and efficiency to any operation. Paint cans, auto parts, plumbing supplies are all made easier when the Joey Zero is involved.